Registered address for a Polish company. - . Set up your own company in Poland with us!. Set up your own company in Poland with us! Registered address for a Polish company. After introducing the lowest corporate income tax rate in Europe – 9% Poland became even more attractive country for doing business by foreigners. Some of them are interested in living in Poland and conducting their stationary business but the other group would like to go back to their countries and control the company at a distance. The company in a private apartment seems to be a reasonable solution when we carry out our work mainly with customers. But the problems can start when we would like to deduct the costs of the activity carried out in the apartment. The Tax Office allows you theoretically to deduct expenses related to running a business in your own apartment. You can buy, for example, a coffee machine, new furniture or make a small renovation but the regulations are not precise. There is a thin border where the private part permeates with the business and it can lead to a dispute with the tax authorities. The second solution is a virtual office service provided by specialists which sounds like a good idea especially for freelancers and those who run the business at a distance. A professional office service is able to share an address to register and conduct the business activity in Poland. After signing the agreement with strictly defined and tailored to the customer’s needs offer the proffesional secretary service will run the office for you. They can, for example pick up the whole important correspondence from the tax office or court in your name and send it to your address or scan it and send via email. That kind of “address” for the company is also good enough to open a business bank account in Poland. All the important letters and the debit cards for the company Polish bank account will be sent to this office. 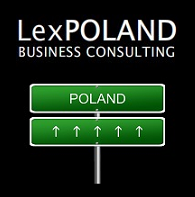 If you would like to have a Polish company and to start doing business in Poland it is truly recommended to ask for support proffesional business consulting companies like for example LexPoland Business Consulting or PolishShelfCompanyMarket. These companies are located in the capital of Poland – Warsaw but they are able to help in this matter throughout Poland. 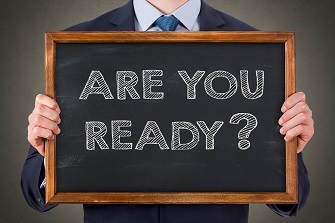 The specialists will share their knowledge and experience with you and help to avoid basic mistakes at the beginning of your Polish business career.